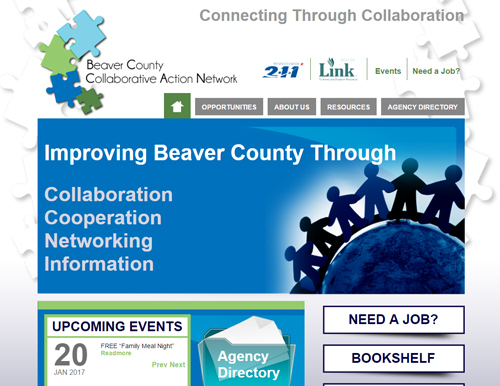 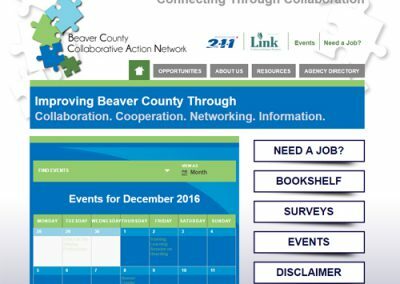 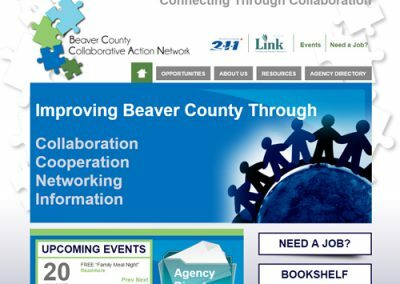 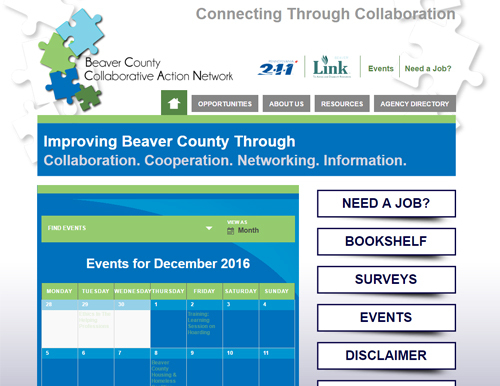 The Beaver County Collaborative Action Network serves an important role in Beaver County, and needed a website that would assist their team in getting not only their message out, but also publishing the various opportunities and events provided by the organization. 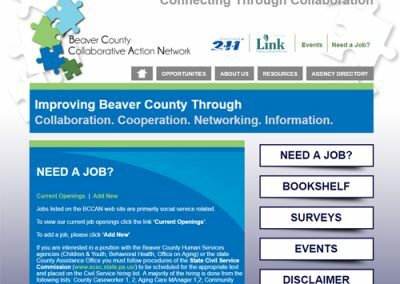 Pacer Studios created a custom website that allowed administrators to publish upcoming events, and also allowed employers to submit job listing as well as volunteer opportunities. 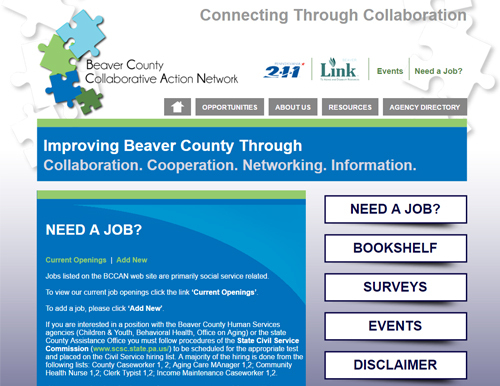 The site also features a secure area that allows members of the team to see more information such as meeting minutes.